Whatever your needs and budget, our taxi service in Bath and the surrounding region covers all bases. Whether you are planning a day at the races, organising an important business meeting or taking the family on a well-deserved holiday, Bath Taxi will get you where you need to be, when you need to be there. Since we’re known for our reliability and consistently high standards, our Bath to Bristol Airport taxi service is one of our most popular local requests. We can also pick you up from or drive you to all other major airports across the country, so you don’t need to worry about setting off late or struggling with airport parking. Not only do we work hard to exceed expectations every time, but we even back our services with a full 100% money back guarantee. Our cars are always clean and comfortable, our drivers courteous and we are never late for a pickup. If we fail to deliver on any of these promises, you’ll be entitled to a full refund! 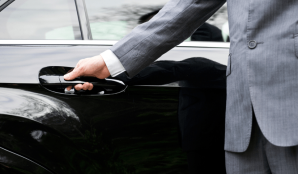 We firmly believe that private car hire should be less a service, more an experience. Our professional chauffeurs have unrivalled knowledge of the region and promise a welcoming, friendly service package from beginning to end. We’re also committed to providing only the most outstanding-quality executive vehicles, fully valeted before every pickup. Our fleet consists of luxurious modern vehicles from Mercedes, BMW and Jaguar, offering the most comfortable ride and the opportunity to arrive in style. What’s more, our customer service representatives are available 24/7, offering fixed price quotation we guarantee will never increase. Let us introduce you to a new standard in private car hire! More details for each of our individual specialisms can be found below. We cover all major London and UK airports including Bristol, Heathrow and Gatwick with our pick-up and drop-off service. You can rely on us to pick you up and take you straight to your terminal in plenty of time to catch your flight. 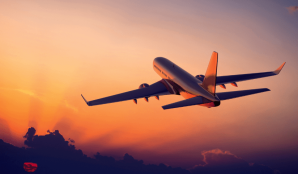 Airport transfers to the nearby Bristol Airport are among our most popular routes. We have a fleet of executive vehicles which are perfectly suited to business customers or anyone else who needs to travel in style while having the flexibility of a dedicated driver. As a Corporate Travel account holder, you’ll be able to take advantage of this premium service whenever you need it. We are among the top wedding car providers in the Bath and Bristol region, with a selection of wonderful vehicles reserved especially for weddings. 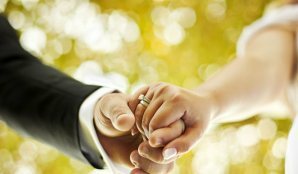 You can hire one of our wedding cars to take you to your venue in time for the ceremony, to take the happy couple away to start their honeymoon or even to transport the whole family. Bath and the surrounding area is our home as well as our place of work, so we have all the specialist local knowledge to provide the best possible service. Our drivers are responsible for maintaining the high standards we have set for ourselves over the years, and quality customer service is always our top priority. Whether you’re halfway round the world when you call to place your booking, or you need to be picked up at the last minute, it’s no problem for us. Our 24/7 reservation desk is here to answer whenever you call, so we can help you make your bookings at a time that’s convenient for you, whenever that may be. Our competitive fares are impressive when you compare our service against most alternatives, and our commitment to value for money is clear from our track record. Many of our customers return to use our taxi services frequently because they’re more than satisfied with the high standards we provide for the price.